If you’re curious about low maintenance decking options that will make upkeep a breeze, we don’t blame you. It’s natural to want a beautiful, functional outdoor area, but it’s also natural to want to avoid any unnecessary labor on its behalf. We have good news for you: You have choices. Here are three of the lowest-maintenance decking options to make your life easy-peasy. Solid composite decking is made from wood particles and plastic combined. It is strong, long-lasting and requires one or two washes a year to keep it clean and functional. It looks like wood, which makes it an awesome low maintenance replacement for the natural material. However, solid composite decking is heavy and hard to maneuver. It’s not a good choice for installing alone … though it’s just fine if you call in an expert. Vinyl decking is an amazing option if you want to give it one good wash once a year and call it good. Not much sticks to vinyl, which makes it super easy for those with children or lots of leaf-dropping trees overhead. Anytime you see a mess, just heft that hose and give it a quick spray. The colors also resist fading well, though since it typically comes in a basic range of hues – think white, gray and tan – it can limit those who have more exciting ideas for their deck. It feels light and hollow as you walk across it, however, which some people do not like. 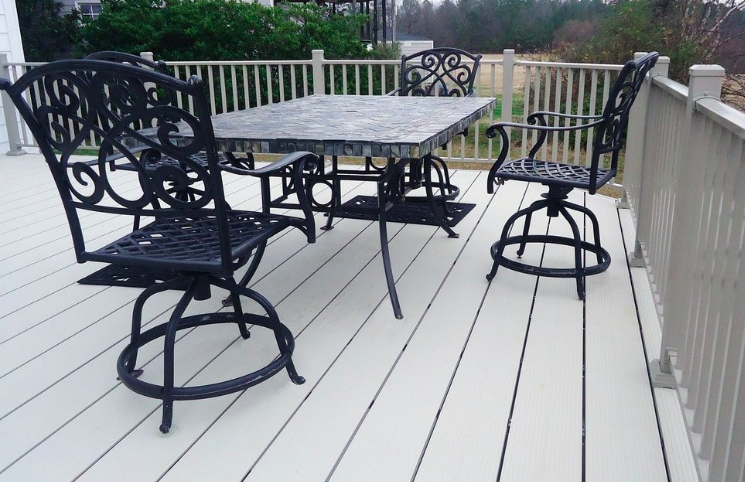 Aluminum is one of the best decking options there is. Not only is it attractive, and can come in a variety of colors – from gray to brown, light blue to green, and any color in between – it is extremely durable. It stands up to weather of all kinds and doesn’t corrode easily. Plus, you can clean it simply by spraying it down, or at most using a light, non-bleach cleaner from a bottle – or a homemade vinegar version. Also, aluminum is a great choice for any deck that’s not sitting above the ground. For those whose decks drain right into soil, for instance, it doesn’t matter if there are huge holes in the deck surface. On the other hand, if you live in a condo or your deck is on a second or third story above your house, you want to funnel water another direction – say into a drainpipe. That’s where aluminum comes in. It interlocks to prevent water from seeping beneath it so that you can collect and route it away. Now that you’ve got a good handle on all your low maintenance decking options, bet you’re ready to get that outdoor living space installed. Don’t worry—it’s okay to have outstanding questions. That’s where our experts come in. 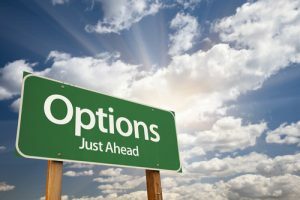 We’re happy to guide you through your choices and help you find the right solution for your property, so connect with us today to get started.